Starting a vegetable garden in the middle of winter might not be ideal for some, but it can be done. When temperatures drop growth slows down in the garden prompting many of us impatient gardeners to give up on growing vegetables. 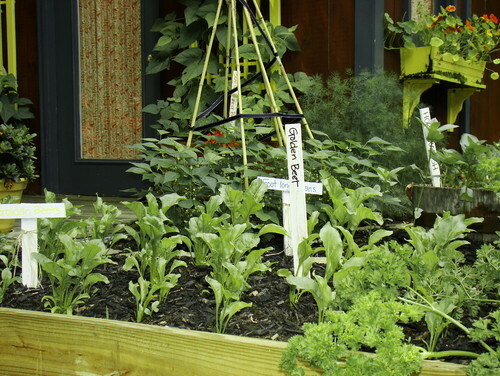 While your edible garden may not be as productive as it is in summer, there are many ways you can keep it cropping happily throughout the cooler months. Many vegetables actually do better when the weather is cooler, turning quickly to seed during the hot, summer months. Spinach seeds will germinate in temperatures as low as 2ºC and young seedlings are frost tolerant. Other cool-season favourites include broad beans, broccoli, Brussels sprouts, cabbage, kale, pak choy and other Asian greens, rocket, peas and parsnip. Raising vegetables from seed can add weeks onto the time it takes them to mature, particularly during the colder months. To make sure you have good-sized seedlings ready to plant in the cooler months, either sow seed for winter vegetables in late summer or autumn or buy punnets of seedlings online or from nurseries and garden centres. Well-established seedlings also resist cold weather and attacks by slugs and snails better than newly germinated ones. Rather than buy those ready-to-go bags in the supermarket, plant your own fast-growing salad greens. Rocket is one of the most productive, easiest and winter hardy. It’s not fussy about soil and will self-seed easily so you’ll always have rocket in the garden somewhere. Sow in autumn and you’ll be able to pick it during winter and spring. Harvest regularly so the plants will produce new leaves, and nip out flowers to prevent them setting seed. Other winter-hardy salad greens include mizuna, Miner’s lettuce and orach. The cooler the soil, the slower the growth rate of most vegetables. Soil stays warmer in raised beds therefore increasing the range of vegetables you can grow, including some that are less tolerant of the cold. Cloches not only keep seedlings warmer, meaning they will grow faster, but they reduce the number of attacks by slugs and snails. These glass cloches are lovely, but a cheaper option is to make your own small ones by cutting off the tops of plastic drink bottles. Cold frames or tunnel houses are perfect for getting a jump on the cold season as you can raise vegetables in them from seed faster and without the risk of the seeds rotting in the cold, wet ground. Or, if seedlings have been grown in a greenhouse, you can harden them off in a cold frame before planting outside in the garden. Tunnel houses are basically hoops of wire or plastic tube covered in frost cloth or plastic. 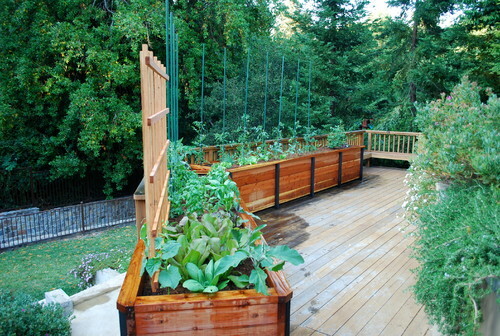 They’re portable, cheaper and easier to build than cold frames, which are normally a solid structure. 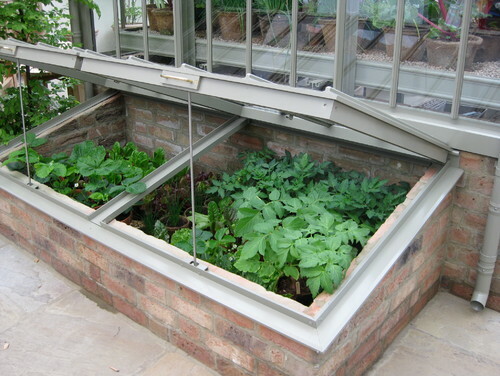 Some people use old windows to make their own cold frames. Be sure to choose a sunny location for your cold frame or tunnel house. 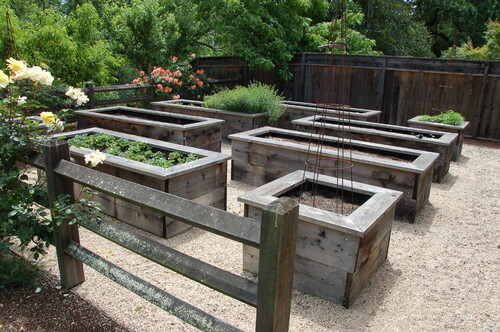 In containers, like raised beds, the soil or potting mix will be warmer than in the ground. 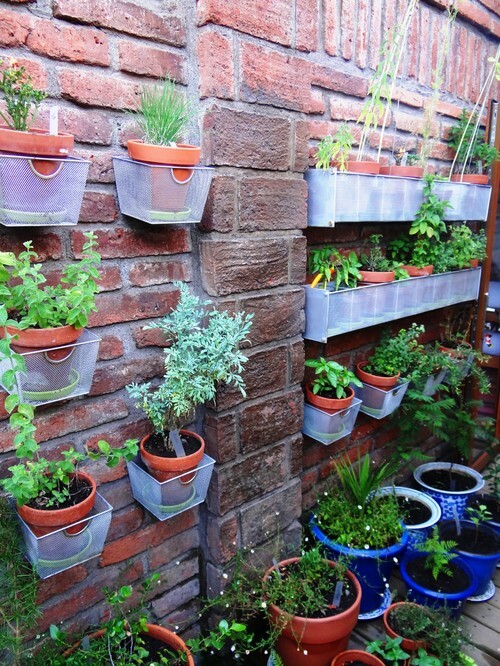 You can also move containers to warmer parts of the garden in winter. Many vegetables will grow well in containers, particularly leafy ones such as salad greens, lettuce, spinach and silver beet. Peas, broccoli and broad beans need containers that are ideally a minimum size of 30cm in diameter per plant. Always use a good-quality planting mix. Rather than waiting for relatively slow-growing root crops (think carrots, beets, leeks and turnips) to fully mature during winter, why not harvest some of them early? Young vegetables are always tasty and great for stir-fries and salads. Cold winds slow down growth considerably, therefore building some kind of shelter is essential for winter crops. Trellis or lattice screening is perfect as it filters the wind, but you can also use wind cloth or build your own temporary wind screen from demolition materials. A slower but long-lasting and very effective wind screening method is to plant a hedge. A layer of mulch acts as insulation keeping vegetables warmer in winter and, therefore, more likely to grow well. It will also allow you to grow more cold-tender plants. In addition, mulches protect soil from erosion, prevent heavy rain from compacting it, and reduce weeds. Organic mulches include straw, bark chips, and even shredded newspaper. Do you have winter gardening tip you’d like to share? Let us know in the comments section. For more ways to embrace your green thumb find out how to start your own veggie patch and dos and don’ts of house plant styling. Carol Bucknell is a Houzz New Zealand Contributor. She's a journalist who lives in Auckland and specialises in writing about gardens, houses and design. Author of two books on garden design: Contemporary gardens of New Zealand and Big Ideas for Small Gardens both published by Penguin. She also designs gardens and is a passionate gardener. Currently she writes the garden pages for New Zealand magazine Your Home & Garden and contribute to NZ Gardener and NZ House & Garden magazines.